I find myself having to fend for dinner alone most nights lately. Mr. Beet has been involved in a major project that has him working all over the state of Florida and on the nights he does make it home, it’s really late. Too late for dinner. I have been taking this solo time to make a bunch of things for myself that I know Mr. Beet would not like. Like mushrooms. Mr. Beet is not a fan of mushrooms in or on anything. I adore mushrooms. 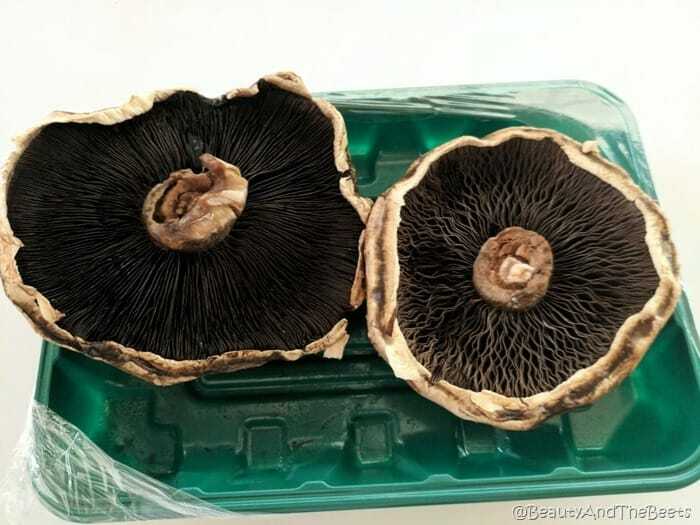 I have been known to buy those little cartons of mushrooms at the grocery store and I eat the whole thing, raw, in one sitting. When we go to a restaurant, I end up with a pile of mushrooms that Mr. Beet has picked out of his dish, usually when he forgets to ask for them to be left out. 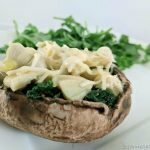 So I decided to make my simple 5-minute Spinach Artichoke Mushroom Cap for dinner a couple of nights this past week. Paired with an arugula salad, it’s not only healthy but light on the belly as well. I first scoop the “gills” out of the cap. I just use a spoon to scrape them gently out. I then rub the top of the cap with a dry paper towel, just to clean the mushroom a little. 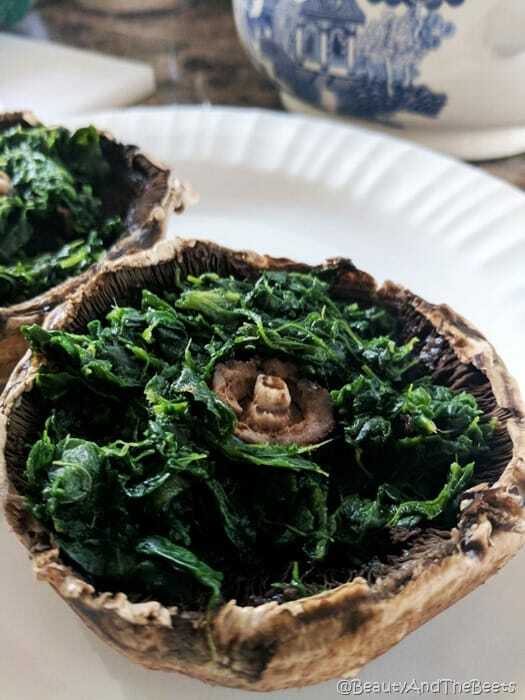 I then add a little cooked frozen spinach to the “base” of the mushroom. 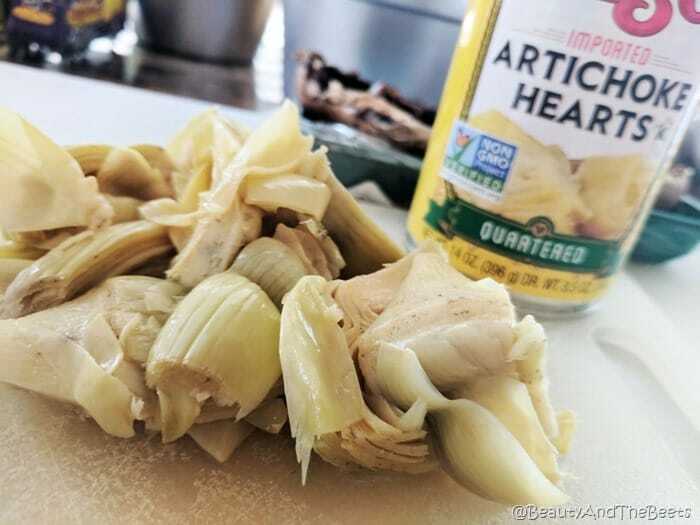 Next I drain and chop a handful of canned artichokes and add that over the spinach. 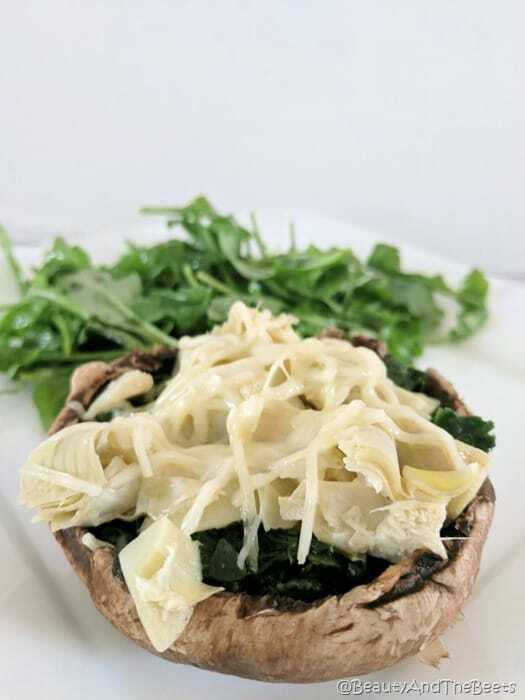 A small sprinkling of parmesan and your ‘shroom is ready for the 3-minute broiler. It’s important not to leave the mushroom cap in the oven for too long as the mushroom will shrink the more it cooks. But the spinach has cooked the cap a little bit, you really just want to broil it until the cheese begins to melt. This is when I mix up the arugula with a bit of a balsamic vinaigrette. Done. Dinner in 10 minutes. Bam, welcome to the days of quick and healthy dinners. Easy and healthy. Ready in ten minutes. Turn the oven to the broil setting. Cook the spinach in the microwave or on the stove according to package directions. Using a spoon, scrape the "gills" from the mushroom caps. 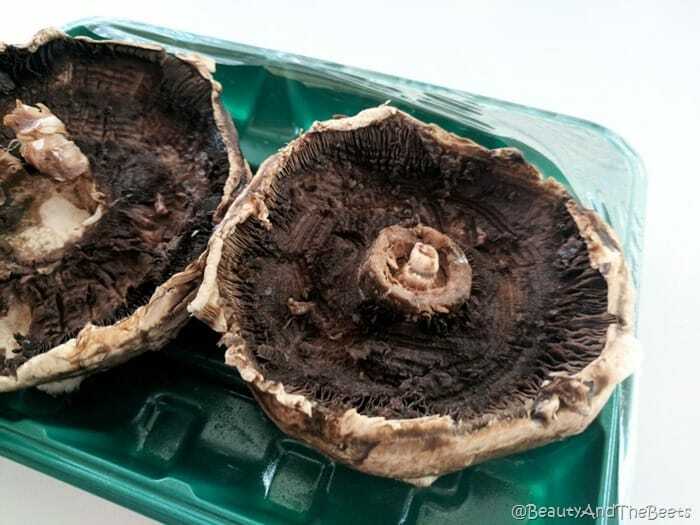 Lightly clean the top of the mushroom with a dry paper towel, gently rubbing the cap but be careful not to break the mushroom. Line th mushroom caps upside down on a baking sheet. 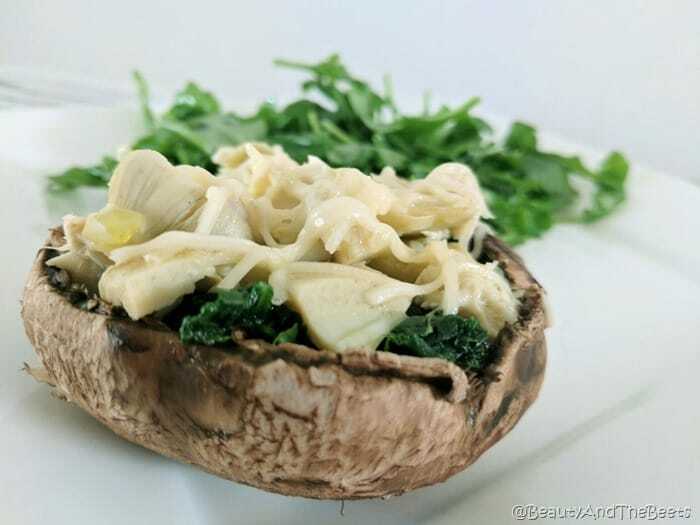 Once the spinach is cooked, divide it into 4 equal servings and add to the base of the mushroom. Divide the chopped artichokes into 4 equal portions and add over top the spinach. 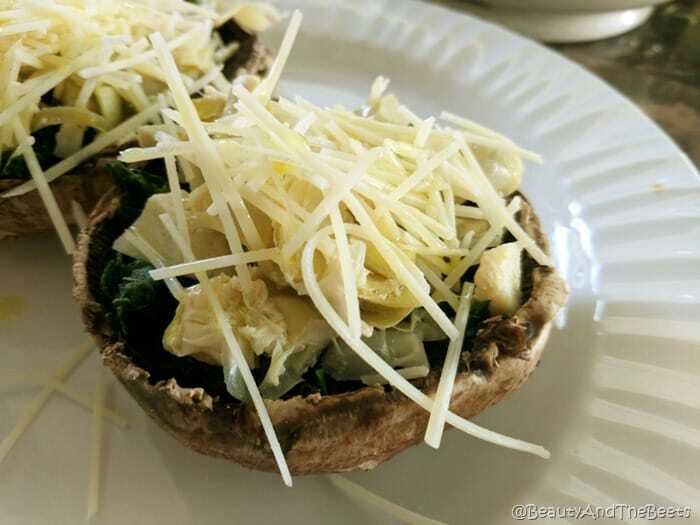 Sprinkle 1/2 cup of parmesan cheese to the top of each mushroom. 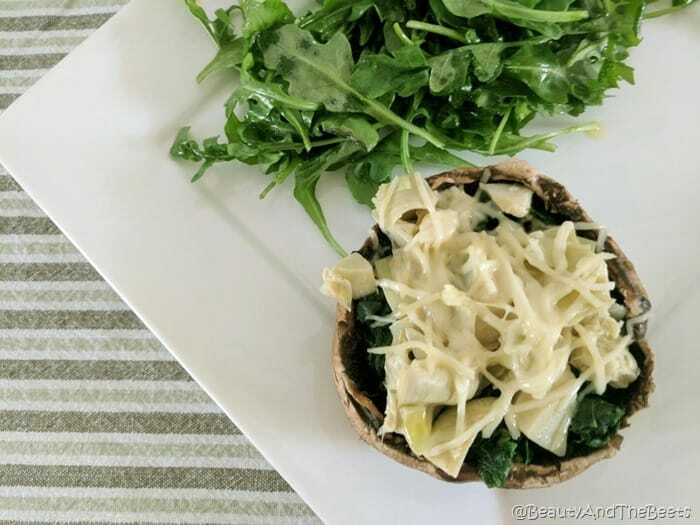 Lightly drizzle each mushroom cap with olive oil, adding about two teaspoons of oil to each mushroom over the cheese. Broil in the oven for 3-4 minutes, until the parmesan begins to melt.